Smoking is bad for you. We all know that. It’s bad for your skin, your throat, your lungs, your heart... the list goes on. Your lungs aren’t the finish line for cigarette smoke, in fact, they’re not even the half way mark. Smoking and its detrimental effects work their way through your body, right down to your pelvic floor. This #Stoptober, Kegel8 are here to help you recognise the impact smoking has on your pelvic health. The Kegel8 team are offering a helping hand (or probe!) to keep you motivated on your journey to quitting for good. 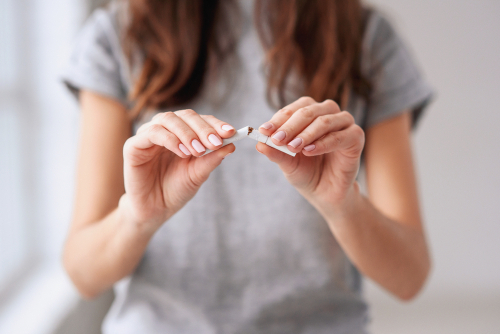 How Does Smoking Affect the Pelvic Floor? Tobacco is the largest preventable cause of death in the world. Each year, it contributes to 19% of all deaths in the UK (an estimated 115,000 people). Up to 1 in 5 adults smoke cigarettes in the UK; roughly 9.4 million people. Second-hand smoking causes a further estimated 11,000 deaths each year, and these are mainly the fault of second-hand smoke within the home. But what effect does smoking have on your pelvic floor? Smoker’s cough – Smokers often develop a chronic cough. Every cough weakens and damages your pelvic floor muscles by putting extra pressure on them. As you cough you trigger a coordinated contraction of the chest, abdominal and pelvic muscles, increasing intra-abdominal pressure. This strain commonly causes stress incontinence. Pressure on the pelvic floor – When you inhale smoke to fill your lungs, your diaphragm contracts and moves downward. This allows space for your lungs to expand. But, as it moves downwards, it places pressure on your bladder. Your pelvic floor muscles are designed to prevent any accidental losses of urine when this occurs. However, if your bladder muscles have weakened from smoking, you no longer have the support to prevent those little leaks. Over time, this can lead to even more distressing pelvic floor disorders occurring, including pelvic organ prolapse. Bladder irritant – The bladder is irritated and damaged by the harmful chemicals within tobacco smoke. Nicotine is absorbed into your bloodstream; it then passes through your kidneys and collects within the urine in the bladder. As the toxic chemicals make contact with your bladder, it causes damage to the cells of your bladder wall. This can cause more frequent and urge incontinence (suddenly or intensely feeling an urge to pass urine). Erectile dysfunction – Look away boys, if the other issues haven’t frightened you, this one might. There is an association between cigarette smoking and erectile dysfunction. Studies have shown that after just 1 year of not smoking erectile dysfunction can be improved in a considerable proportion of smokers. Bladder cancer – Bladder cancer is the fifth most common solid organ cancer in the UK. Smoking is the most major and modifiable risk factor for the development of bladder cancer in men and women. Smoking triples the risk of bladder cancer compared to the risk in non-smokers. Urge incontinence and frequent urination can be signs of bladder cancer. Is Vaping Bad for Pelvic Health? Although numerous sources claim that vaping is better for your health than smoking, this may not be the case for your pelvic floor. The pressure on your pelvic floor from vaping remains the same as if you were smoking a cigarette. The large inhale you take when vaping still forces your lungs to push downward, adding pressure to your bladder; we know the consequences that occur after this. Distract yourself – Quitting smoking is a hard process to go through, but if you manage to stop for 28 days, you are 5x more likely to be able to quit for good. Whenever you feel the urge to light up and smoke, try using the time to practice your pelvic floor exercises instead. To learn more about exercising your pelvic floor, click here. Kegel! – It's never too late to begin exercising your pelvic floor. Whether you've given up smoking for 3 weeks or 3 years, maintenance is the key for a strong pelvic floor. Repairing the damage that has been done to your pelvic floor can help improve any pelvic floor disorders that may have developed. If you find it difficult to perform manual Kegels, try enlisting the help of a Kegel8 Ultra 20 Electronic Pelvic Toner. Try and try again – Most people don’t quit smoking the first time, and there’s no problem with that! As long as you can keep motivated to achieve better health, you can achieve a better you. Rally the team – Staying motivated all by yourself can be a hard task, so make sure you get your friends and family involved in the process. Encourage them to do their Kegel exercises as well - we all need to maintain these essential muscles! 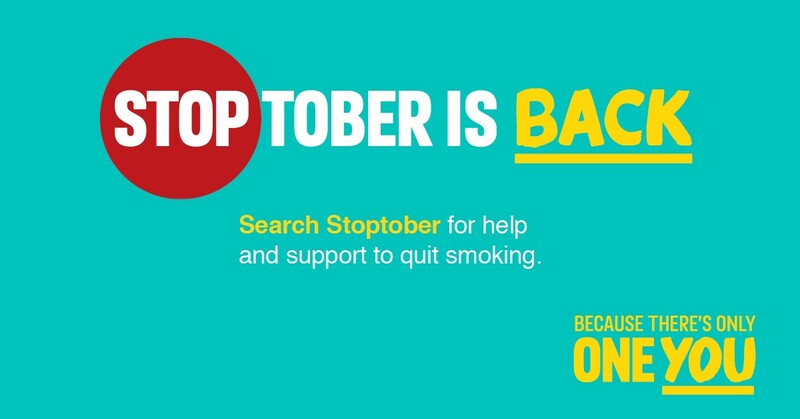 Where Can You Find More Support During #Stoptober? For further information about stopping smoking, visit the #Stoptober website here, where you can download free resources to support your journey to a smoke-free self.